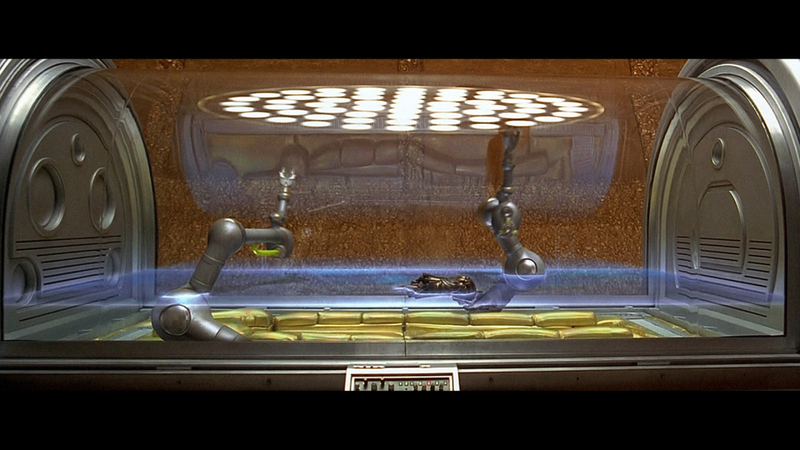 In the year 2259, a glove with a protruding bone are placed in a glass chamber equipped with an automated DNA sequencer. Robotic arms start generating slices of bone, then merge them together, reconstructing the arm, the skull and the full body before our very eyes. In the final stage of the reconstruction, a layer of skin is added, revealing the feminine features of Leeloo (Milla Jovovich), portrayed in the film as the "supreme being".